This book provides counselors in educational, mental health, private practice, and rehabilitation settings practical guidelines for facilitating groups. 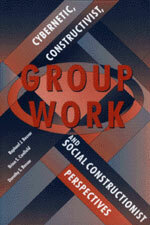 This text goes beyond the adaptation or application of theories of individual counseling to the group work setting. New to the fifth edition are updated chapters addressing ethical/legal considerations in group work, as well as diversity issues in group work. 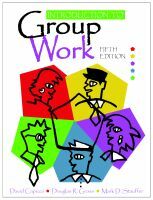 This edition also has an updated section entitled “Group Work in Selected Settings,” which includes chapters on groups in schools, mental health, and rehabilitation settings. Readers will find these changes to be of high interest and helpful in developing an appropriate knowledge and skills base for group work. The authors of this fourth edition offer essential skills for emerging group leaders. Students and professionals with varied backgrounds in social work, counseling, and psychology will find a host of techniques, practical strategies, and concrete directions for leading groups. 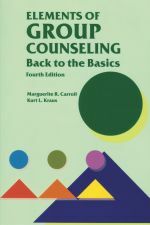 The text is intended for courses or workshops in group counseling, group process, and group supervision. This edition is complete with extensive examples of leadership interventions, how to successfully navigate challenging issues, and establishing obtainable expectations for group members of various ages, settings, and purposes. 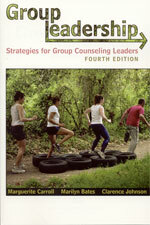 Elements of Group Counseling provides specific strategies and interventions and is an essential tool and valuable guide for running successful groups. Productive seating arrangements, ways to encourage members to participate, the length of sessions, approaches for reluctant members, issues of confidentiality, and much, much more are all discussed in this classic work. The main focus of this book is to provide group leaders with the professional tools to activate positive group processes and give members growth-producing experiences. It is developmental rather than remedial and motivated primarily by the growth needs of members. The model is for people who want to expand their personal development and experience growth in a self-actualizing paradigm. The book is highly practical for such diverse settings as probation departments, mental health units, community groups, rehabilitation groups, school settings, and family counseling. The basic premise of the book is that open, honest, and direct communication among human beings is both possible and desirable. This book presents clear and concise explications of modernism, postmodernism, first-order cybernetics, second-order cybernetics/constructivism, and social constructionism and the selected therapeutic approaches consistent with these perspectives. This book gives you new perspectives on being a successful mentor. Youll find examples of creative art techniques including music, poetry, and movement exercises. 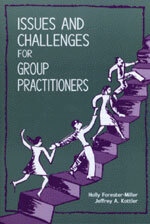 Three chapters cover issues about leading groups in organizational settings. 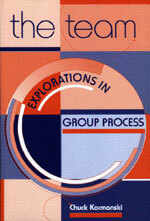 The book ends with a discussion of a new theoretical model and narrative groups work.